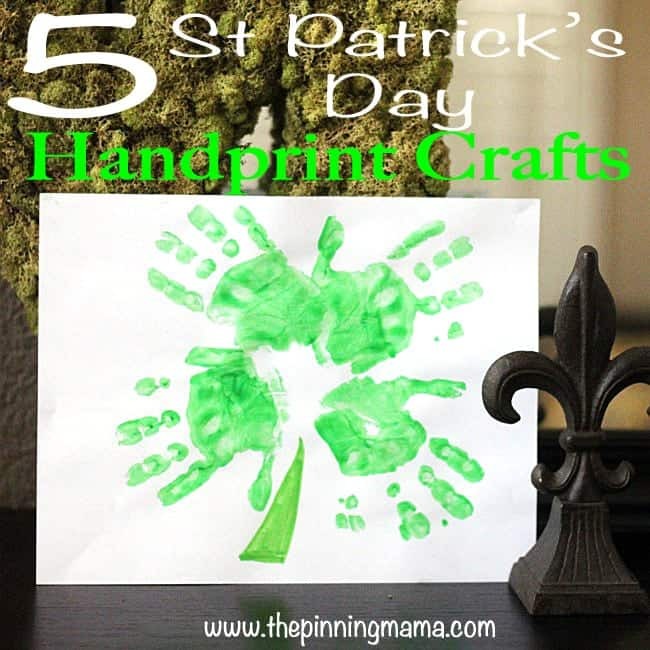 Well it is officially March so good ol’ Saint Patrick’s Day is right around the corner! When you have little kids, holidays are great to break up the monotony of everyday and throw something fun in. 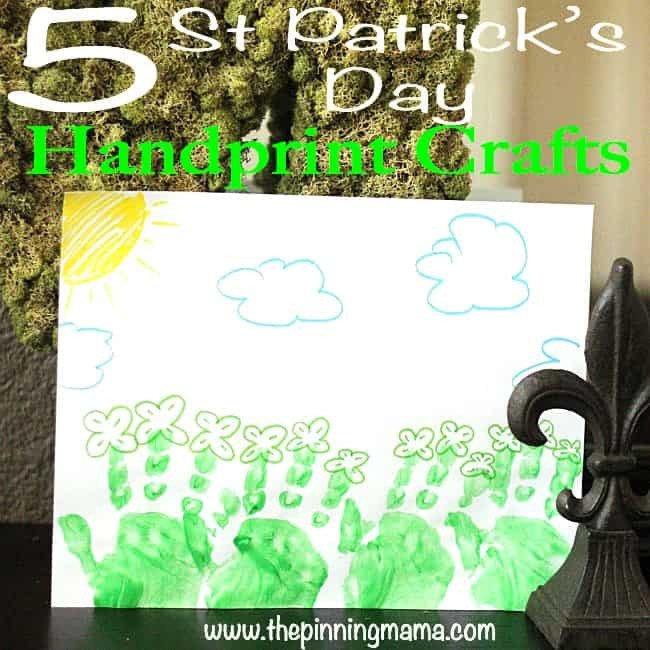 My little guy in particular really loves art projects, and when we did these Valentine’s Day Hand Print Crafts he was beside himself with excitement at what he created, so I figured why not make it a repeat for St. Paddy’s. 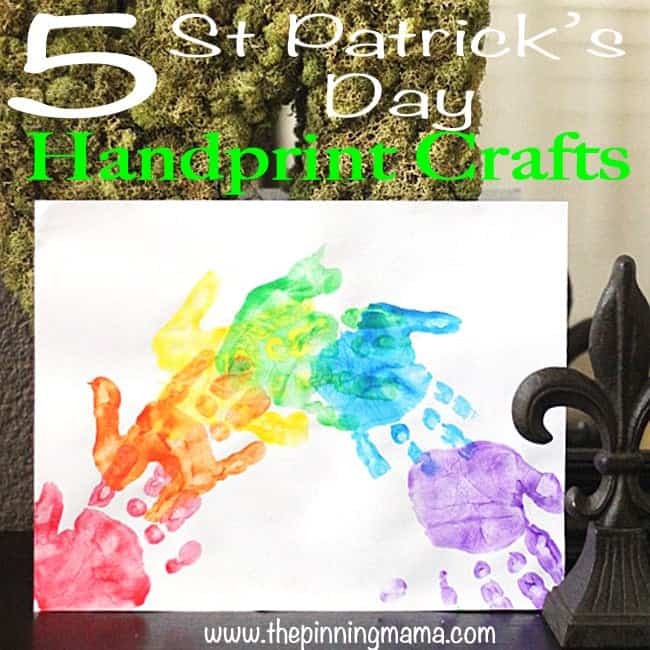 We talked a little bit about what St. Patrick’s Day is all about and then brainstormed some ideas on what we could make with his hand prints. 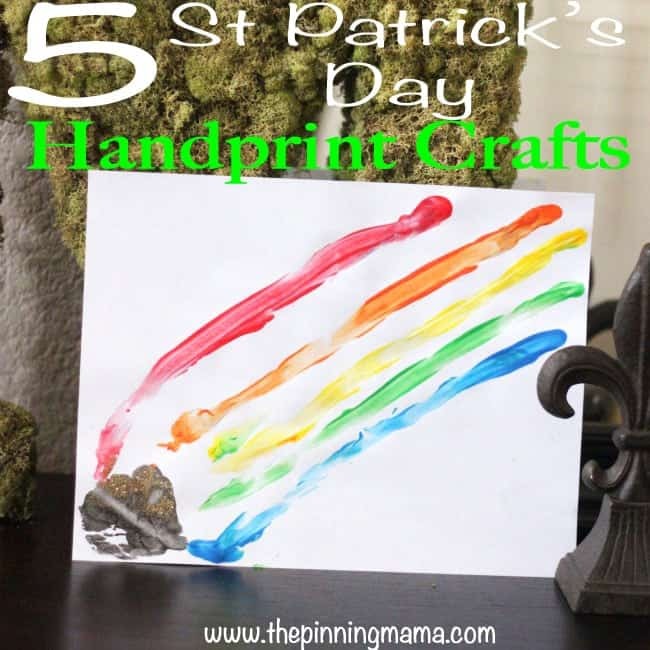 It took a little creative thinking but we ended up with 5 fun ideas to commemorate St. Patrick’s Day with a little hand print craft. 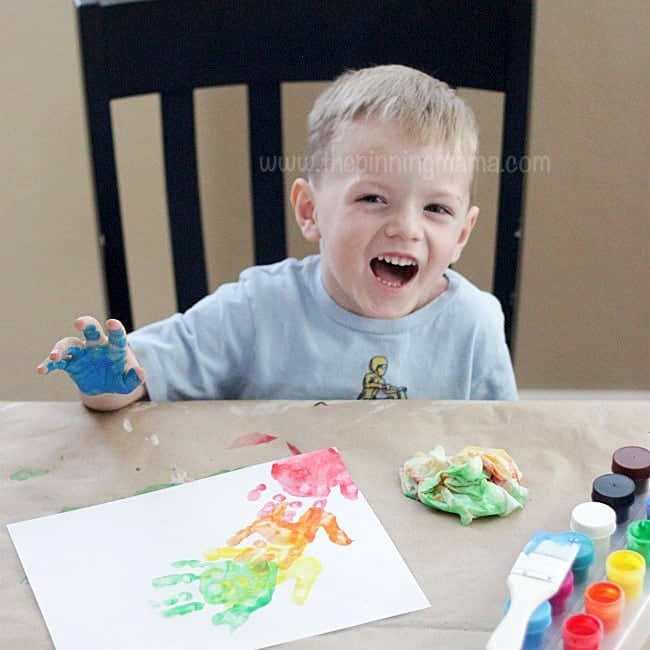 All you need is some paper, some washable paints in rainbow colors, a paint brush, some markers, and possibly some gold glitter to finish off your masterpiece. Here are our 5 creations. I think they are pretty self explanatory, but if you have any questions on how to recreate them, please leave me a note in the comments! 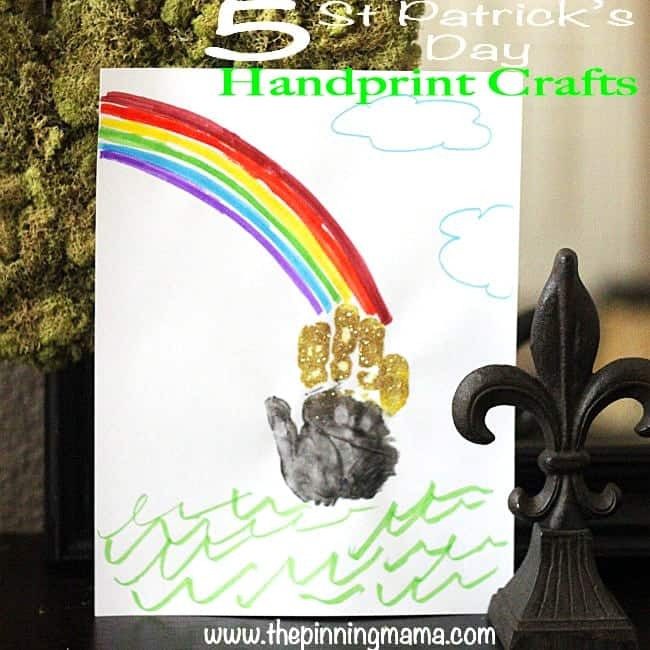 Hand Print Pot of Gold – You can just use yellow paint like at the top, or sprinkle gold glitter on the yellow paint while wet for an even better pot of gold! Thanks for stopping by today. 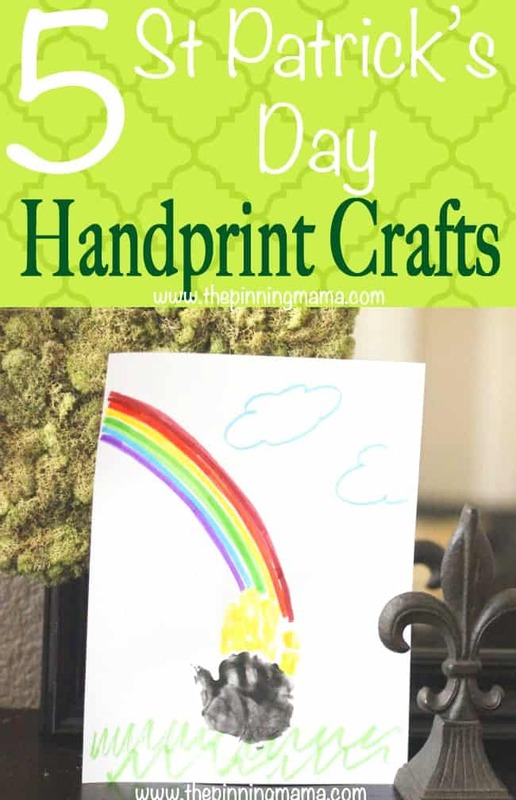 If you want to keep up with all the tips, tricks, ideas, and all around general fun stuff we have going on around here, make sure and LIKE The Pinning Mama on Facebook. 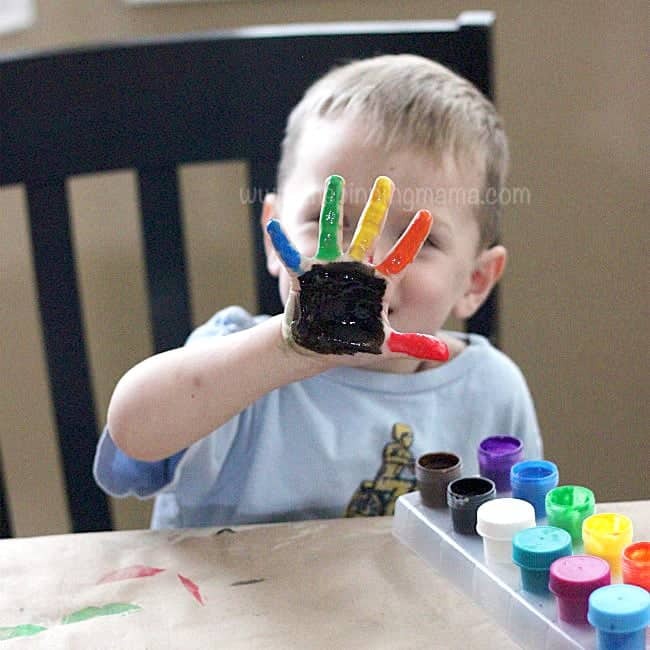 Also, follow us on Pinterest to see the best kids activities from across the web on our multiple boards dedicated to the little ones! « The Best List of Gift Ideas for a 4 Year Old BOY!